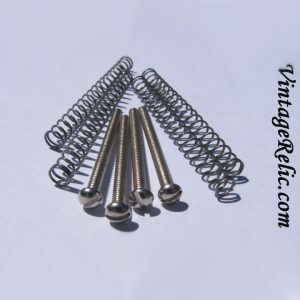 New Pickup Mounting Screws (4) nickel slot head vintage style for Gibson PAF style humbuckers. Springs included. Size: 3-48 thread , 1.25" long. 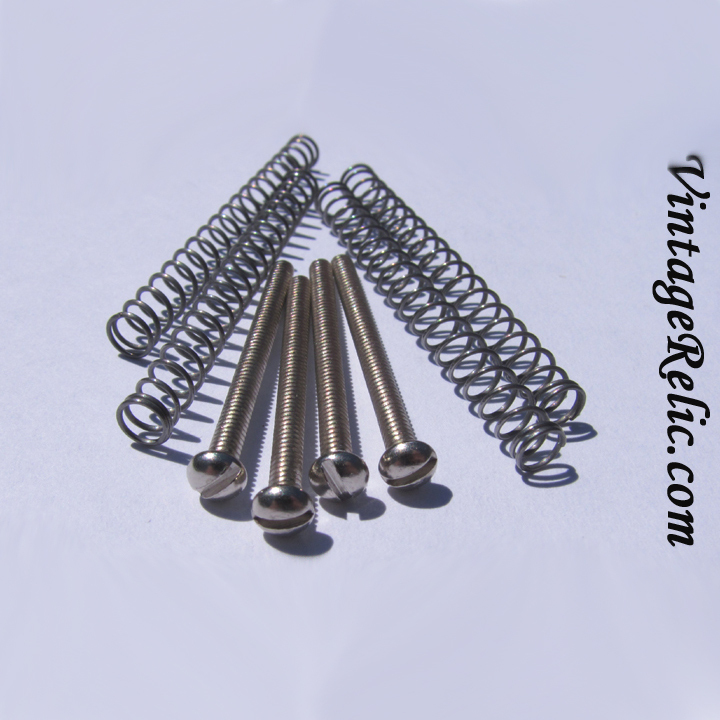 Will fit US thread (not metric thread) humbucker pickups such as Gibson, Throbak, Fralin, Sheptone, Wolfetone, Lollar, Bare Knuckles, Duncan, etc.